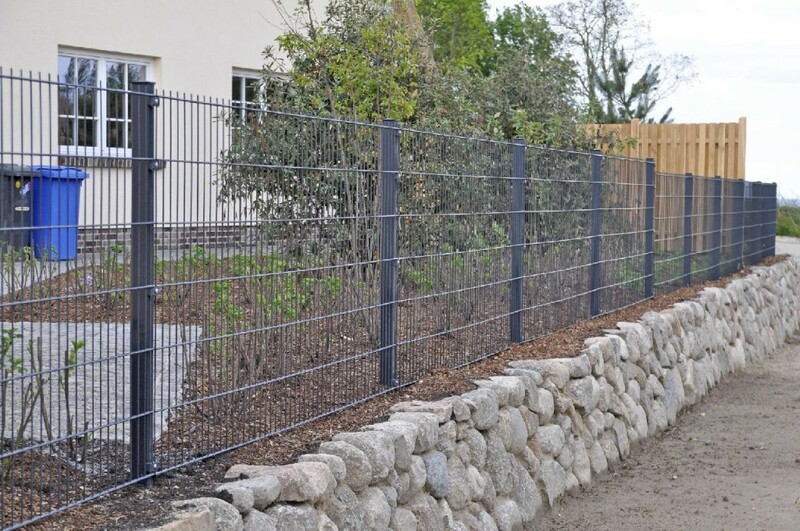 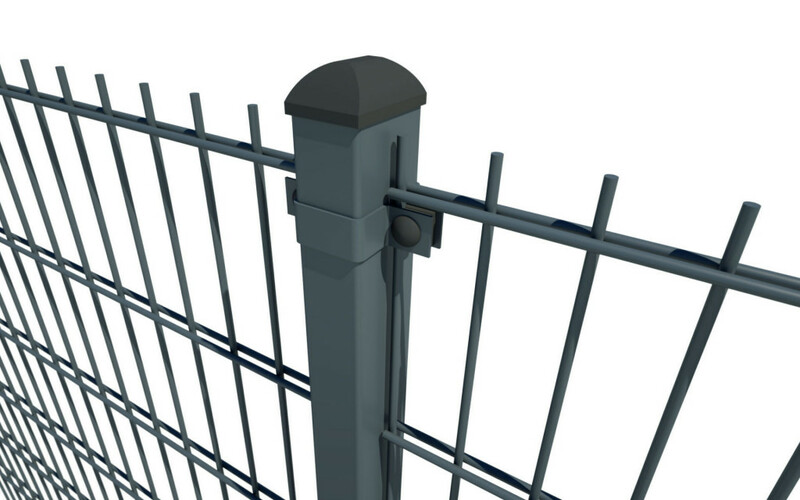 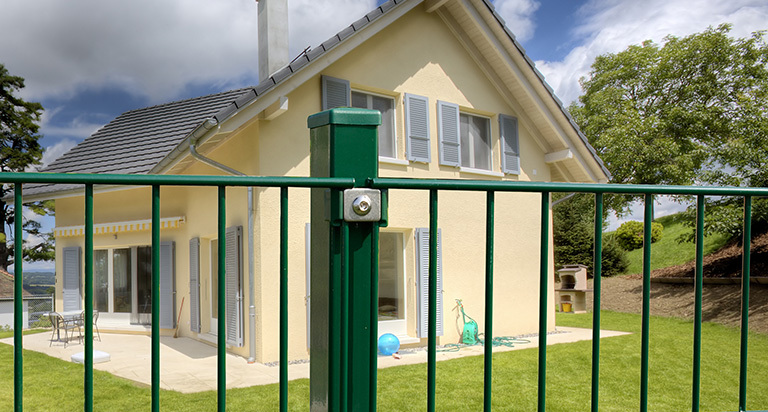 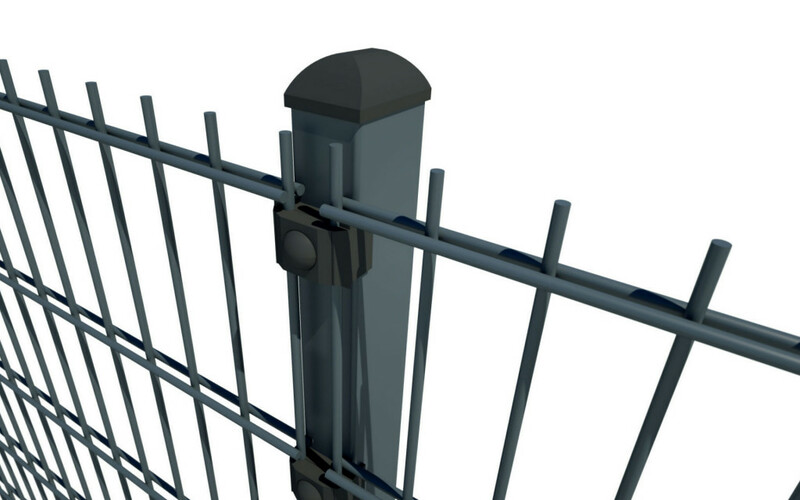 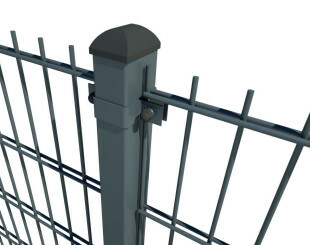 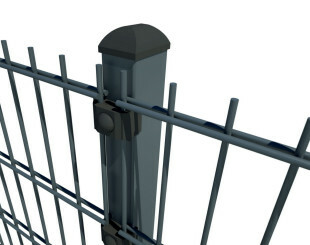 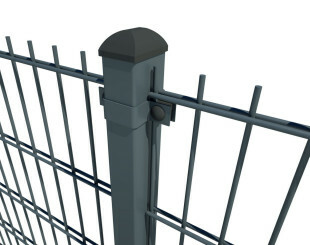 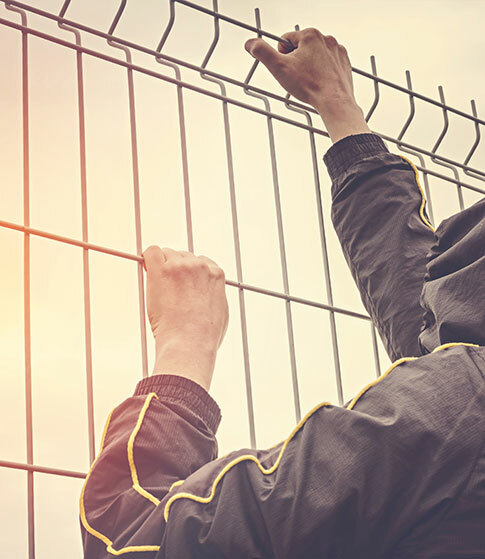 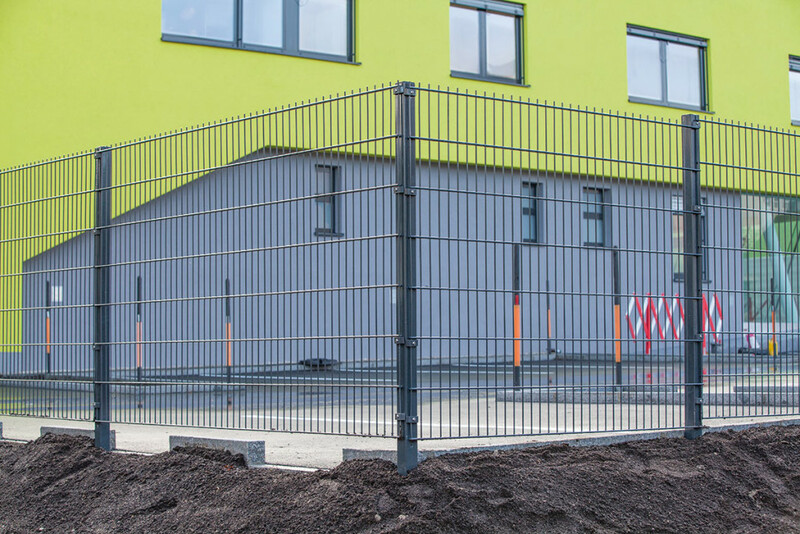 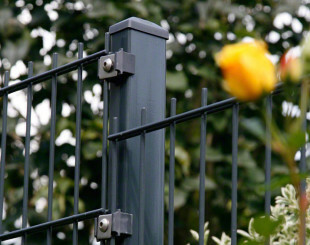 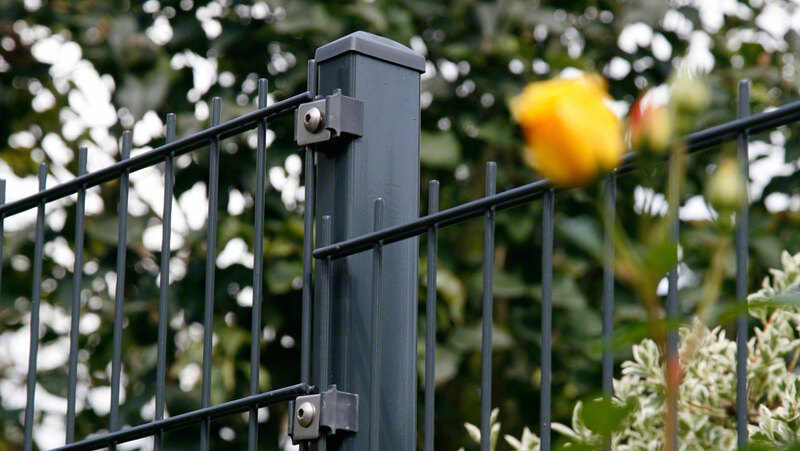 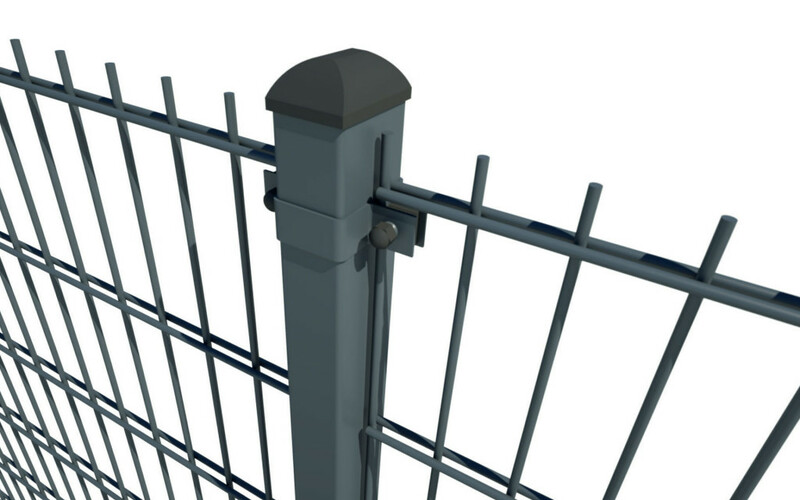 The fence panel is made from the highest quality steel , coated with anti-corrosion coating excellent high technology ensuring long-term use of elements fence without maintenance. 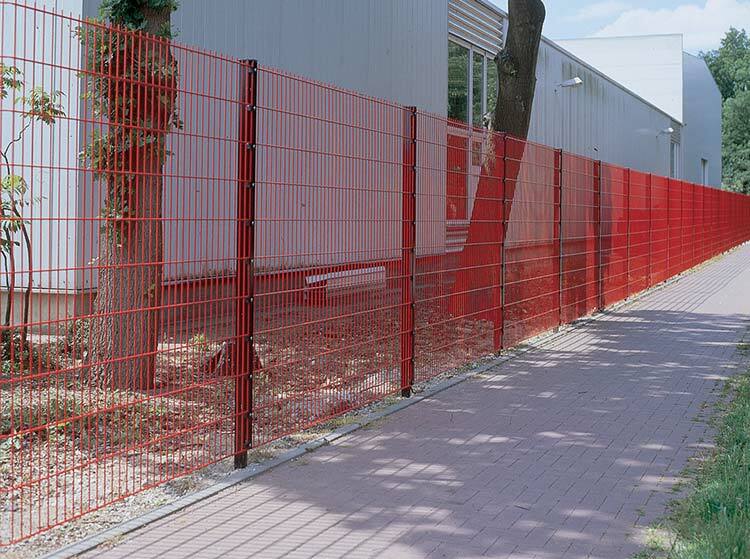 Additionally , a complete system of panels with different designs and heights convenient to install optimizes customize the look of the fence to the shape of the building and the environment. 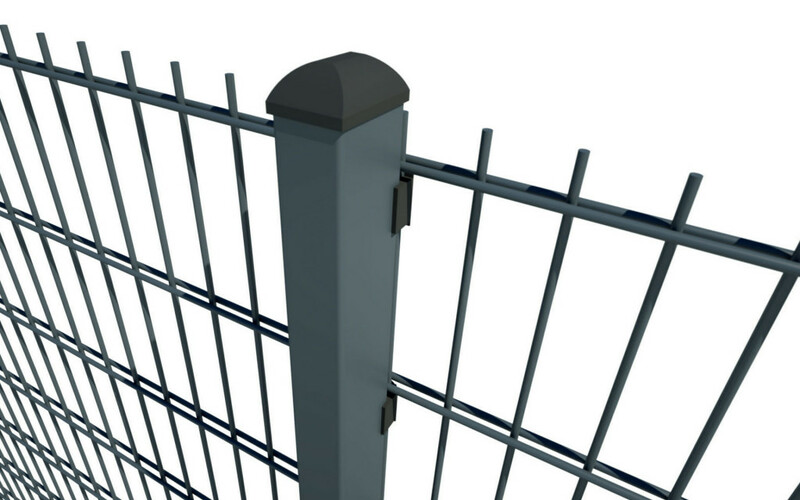 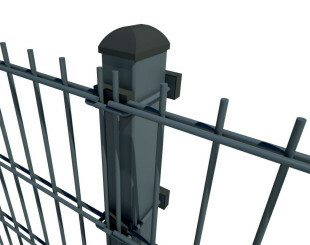 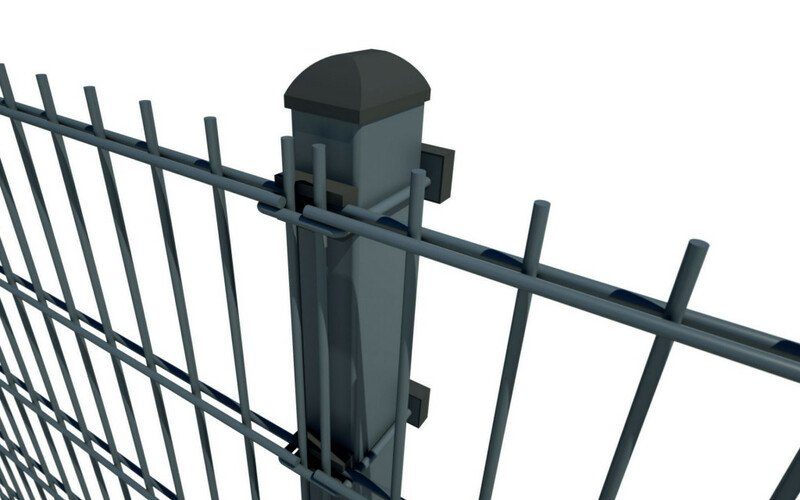 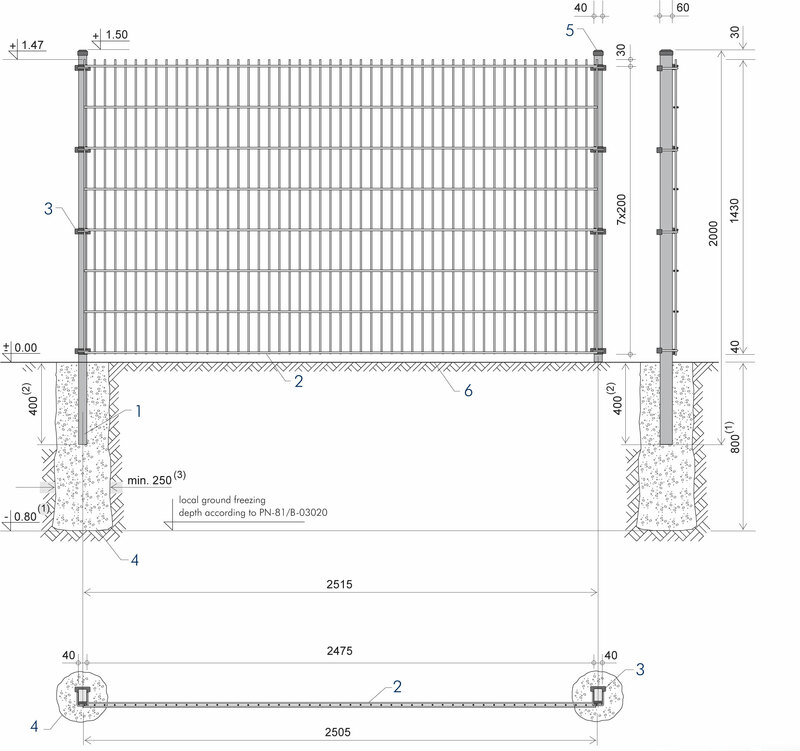 The fencing panels made ​​of steel rods welded spot with rectangular mesh mounted on poles closed profile or section bar with the available accessories. 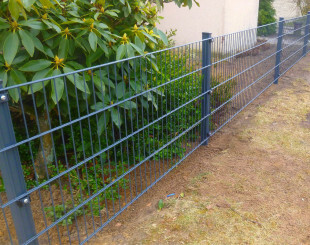 dip galvanized + polyester coating ( galvanized steel cover with polyester paints the fence gives exceptional resistance to weathering and ensures long-term usage ) . 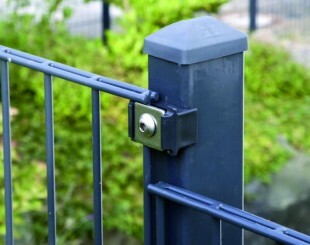 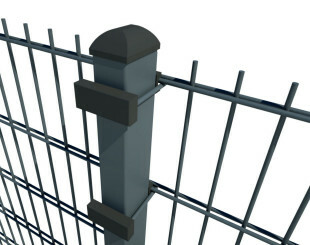 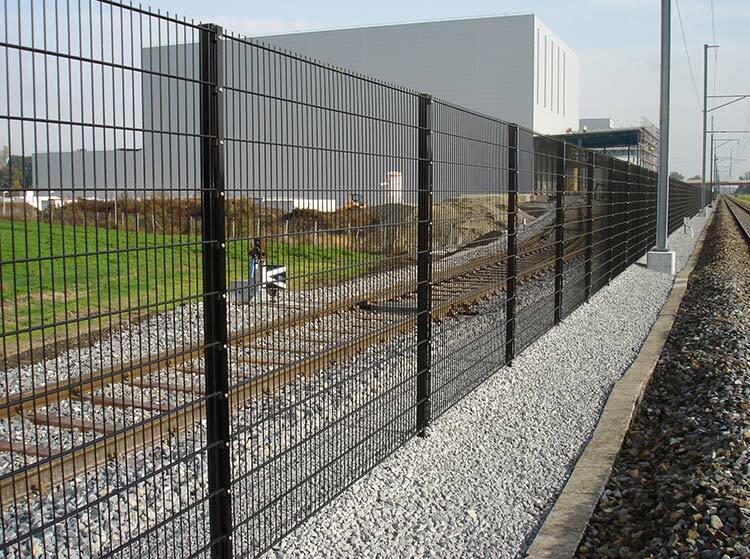 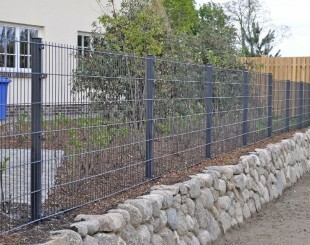 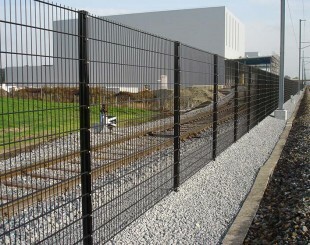 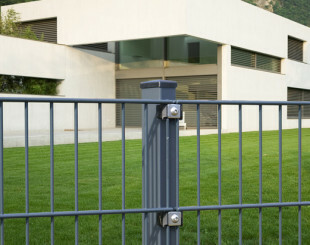 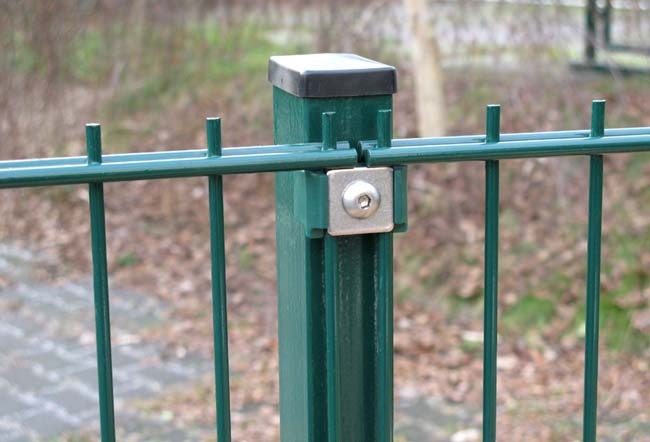 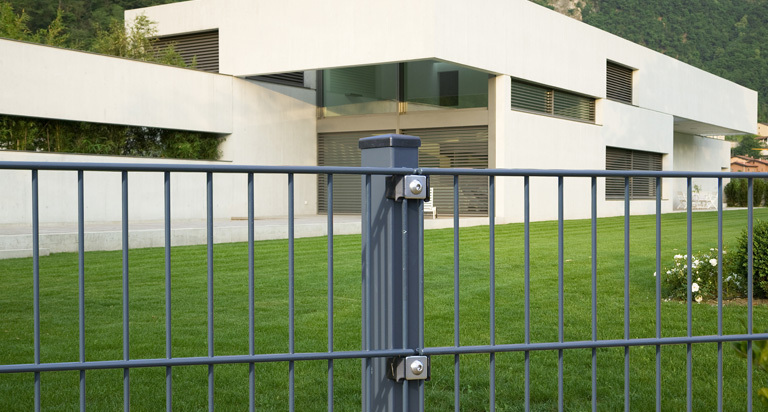 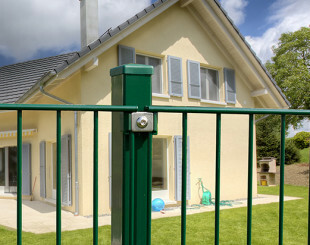 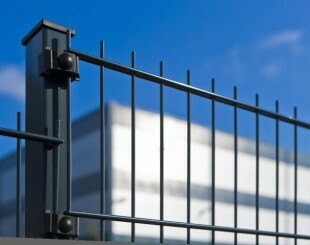 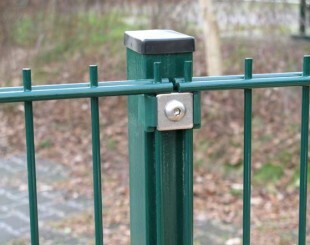 The fence is characterized by easy and fast installation ( fence can be installed in areas with variable slope to 45º ) . 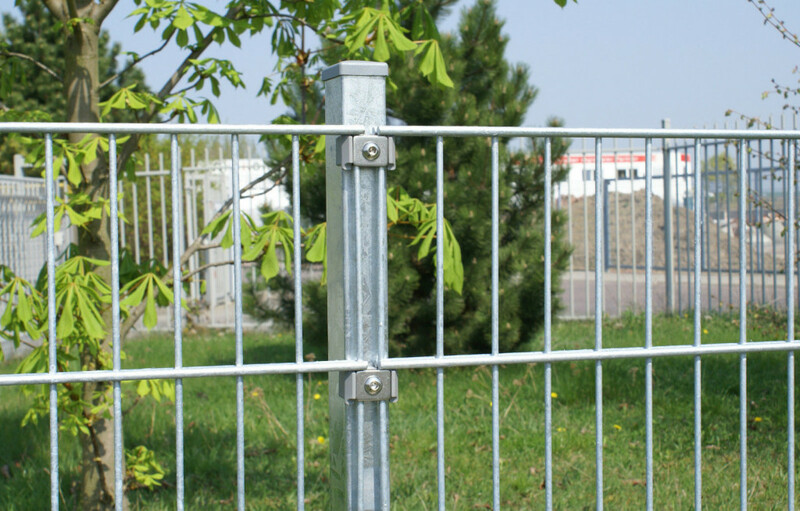 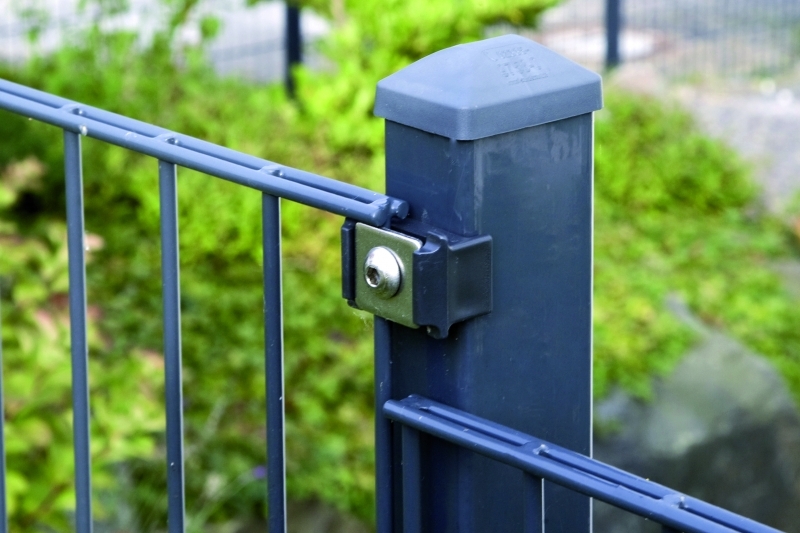 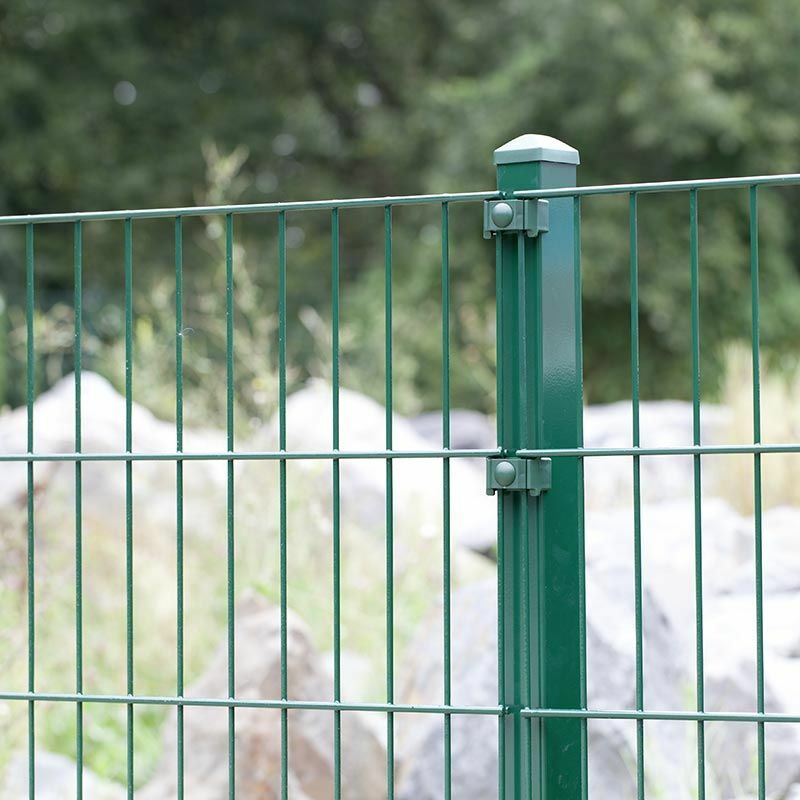 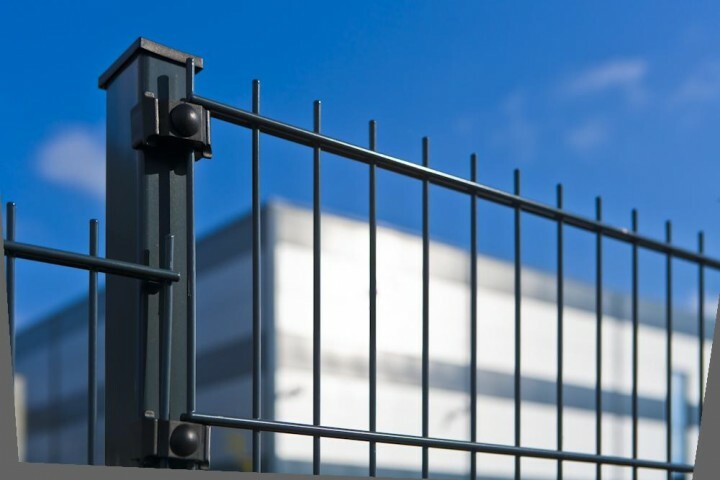 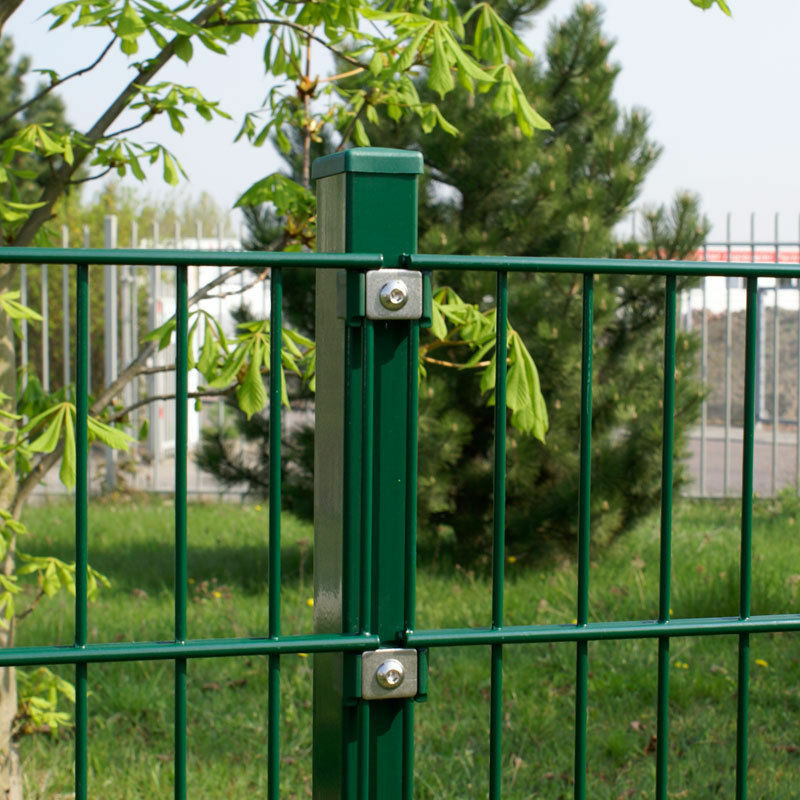 Recommended for professional fencing the playground, gardens, parks, office buildings and warehouses , public buildings, sports facilities and private properties. 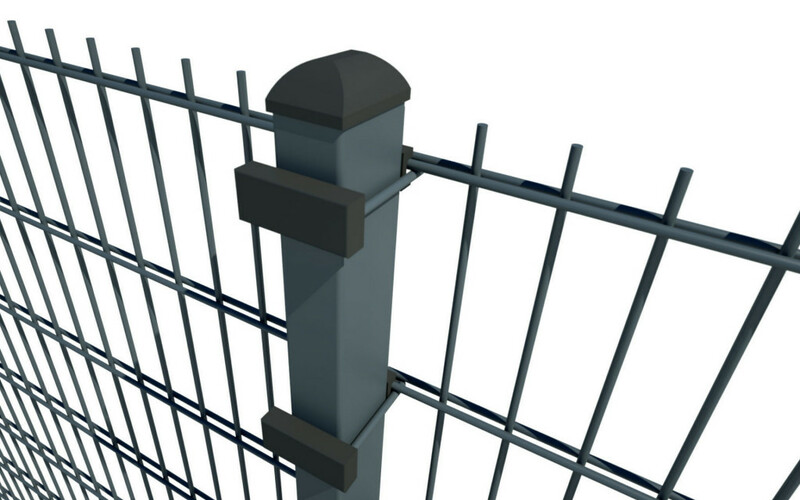 panels, posts, clamps and mounting strip are protected against corrosion with zinc coating through hot galvanizing process in accordance with the norm: EN-ISO1491(DIN50976). 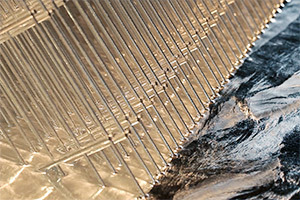 As a result of a hot galvanizing process (bath in liquid zinc at 440–460°C) on the surface of the galvanized element occurs a diffusion, that is steel and zinc form an alloy layer on where accumulates a pure zinc layer. 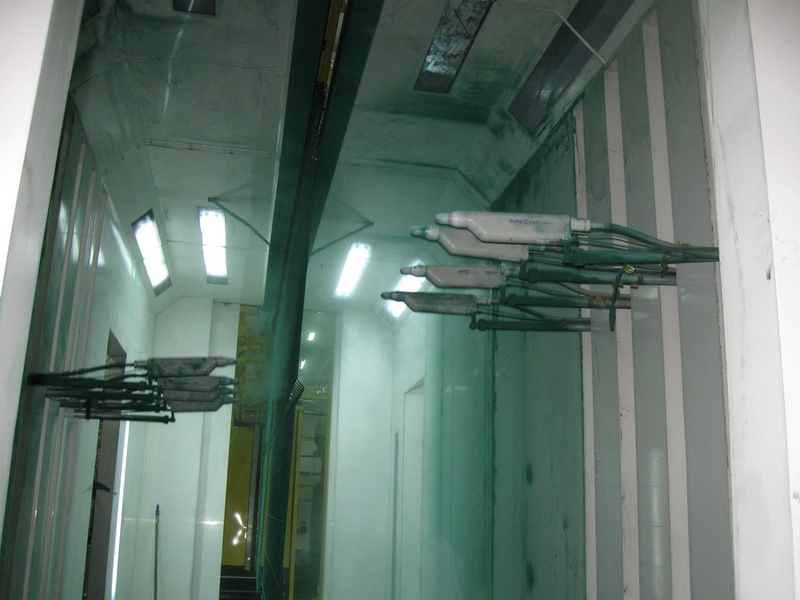 Anticorrosive protection in DUPLEX system consists of applying properly prepared zinc coating on a special paint coating. 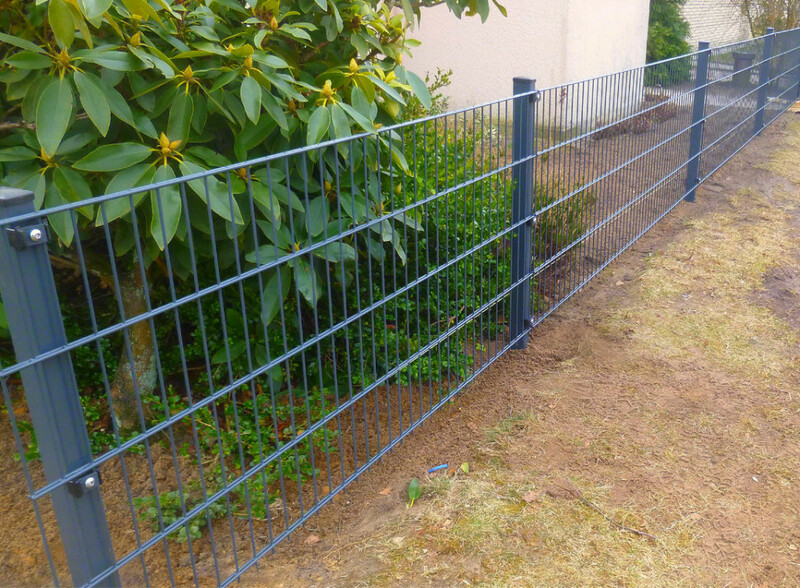 In DUPLEX system of GROWMAT company this coating is made of polyester powder lacquer applied with the electrostatic method. 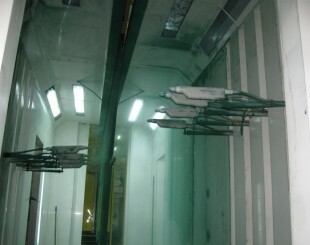 The most important element that has effect on the durability of the paint coating is preparation of galvanized surface. 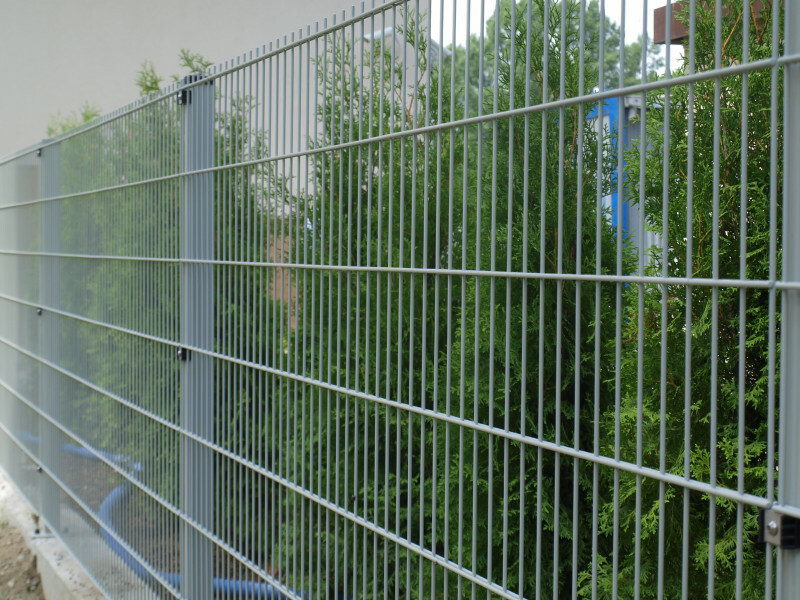 As we are fully aware of that we use abrasive blasting that allows to achieve the highest adhesion of paint coating and thus its highest quality. 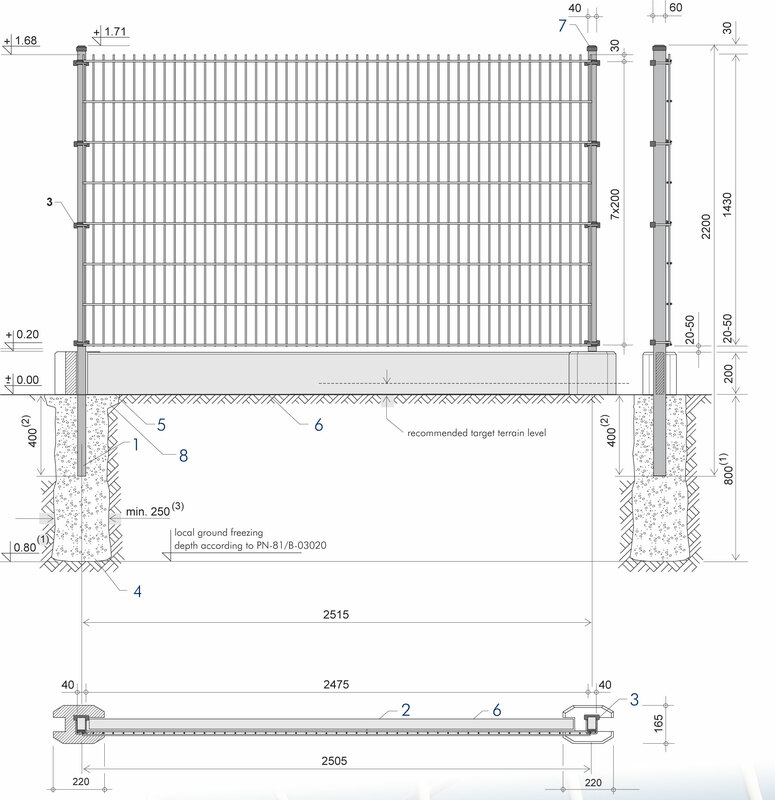 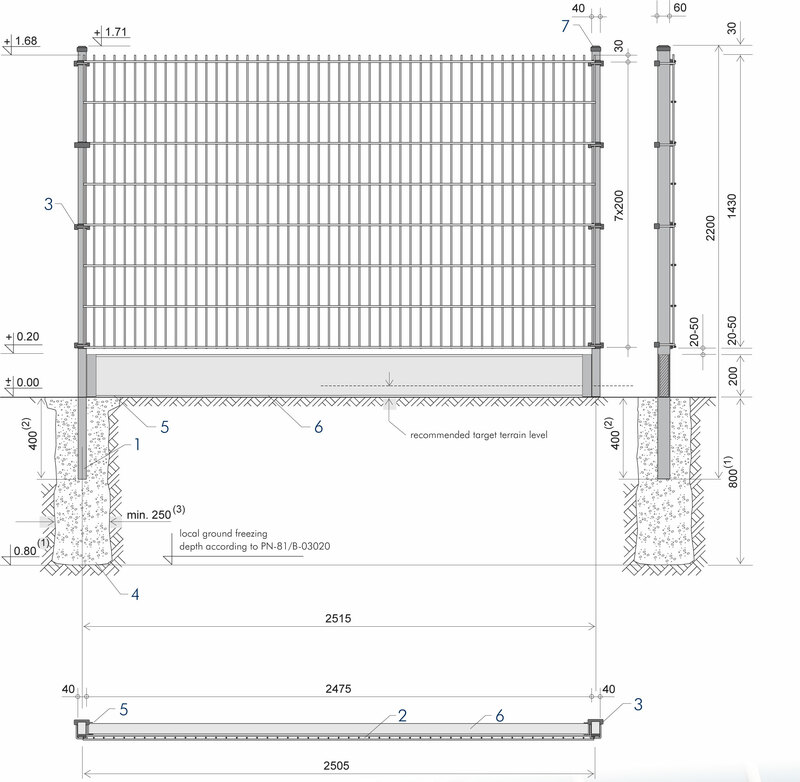 possibility of custom filling with a fencing panel or barbed wire in 1, 2 or 3 rows. 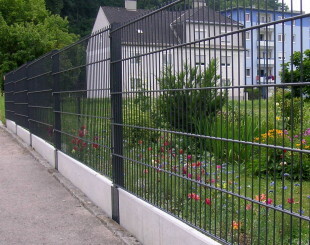 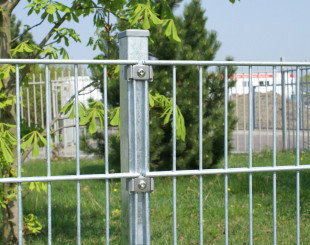 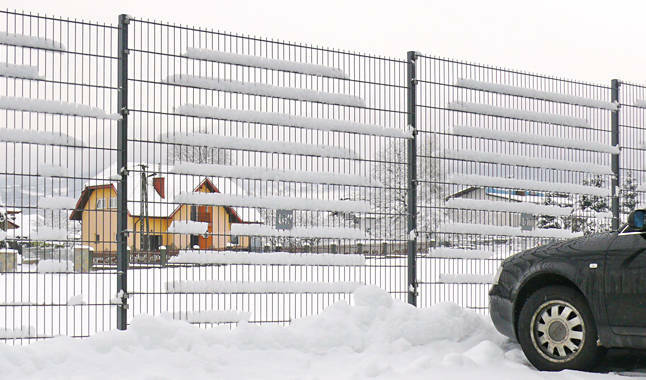 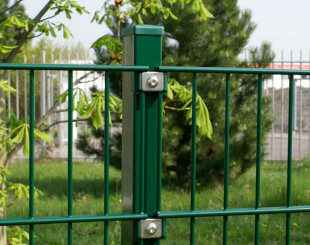 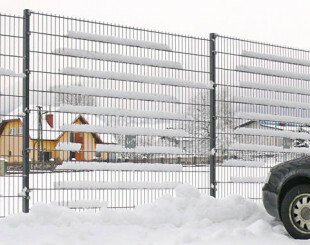 Fencing panels intended for fencing off the premises of schools, kindergartens, bus stops and other areas are recommended to be carried out according to a special order, which involves the removal of upper ends of the wires (comb), thereby preventing the possibility of injury of persons who may attempt to improperly cross over the fencing. 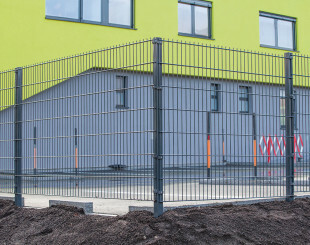 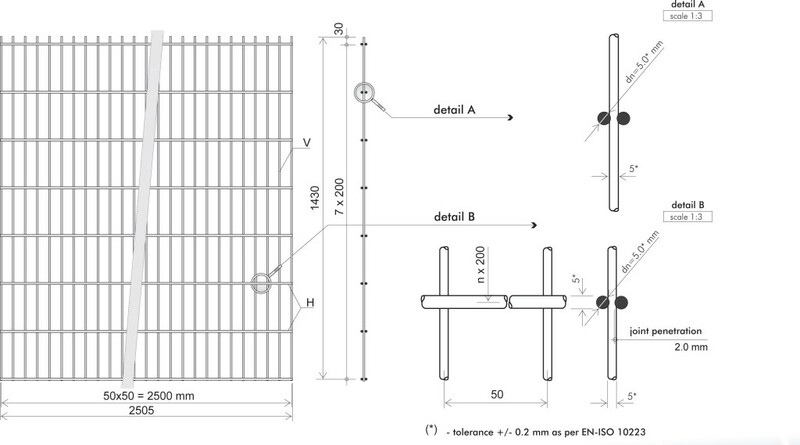 In the event of installing fencing panels on sections with a length of <2,5m, we shorten them at the place of installation (the building site). 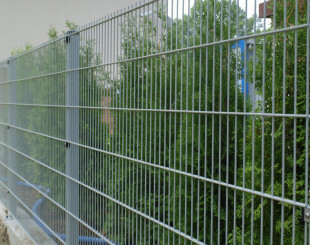 The panel cutting process is performed using shears (enabling the cutting of bars to 8 mm). 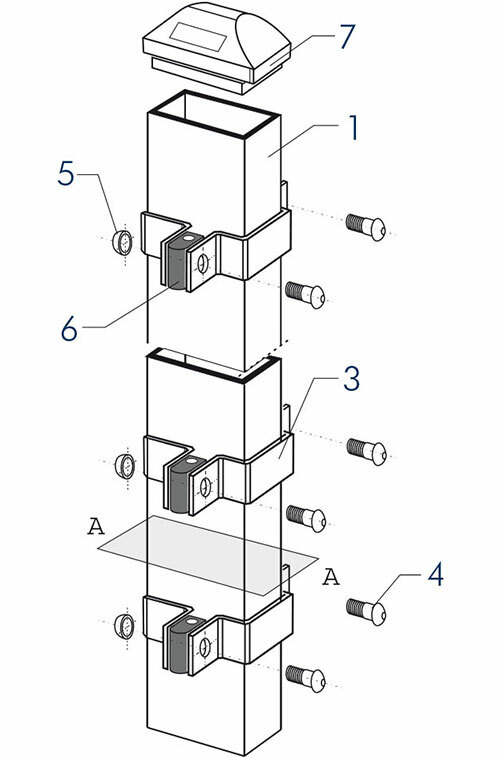 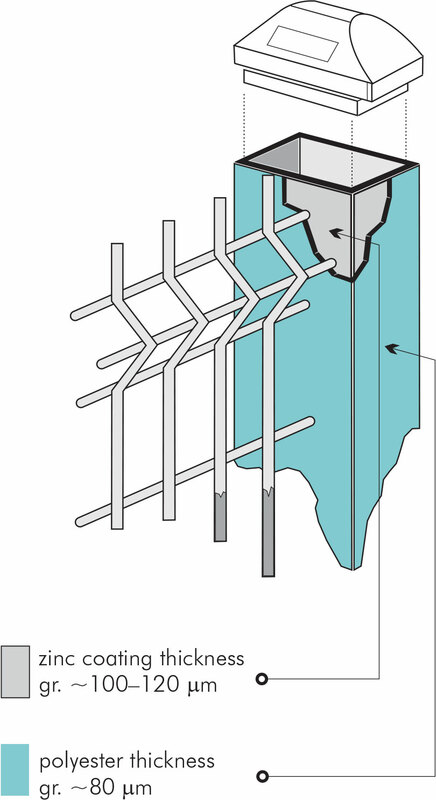 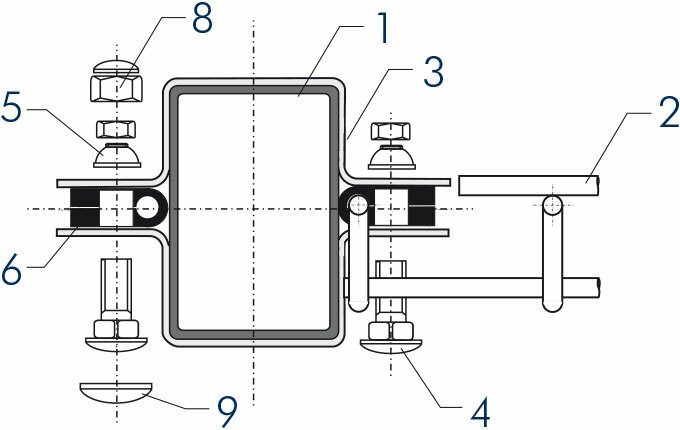 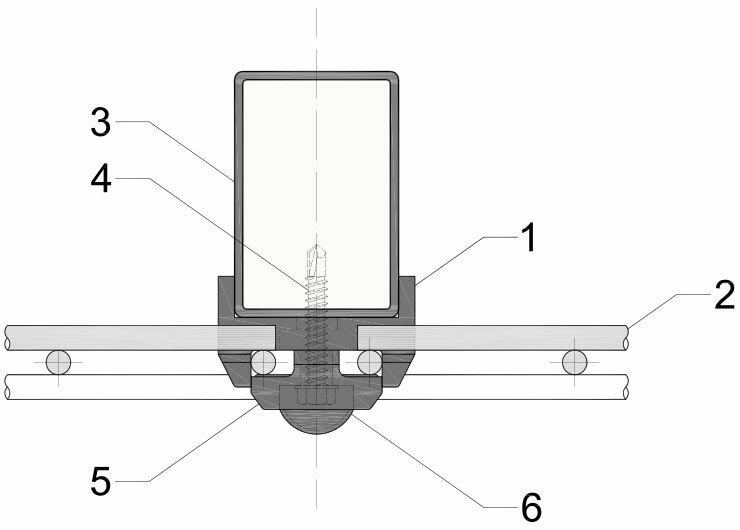 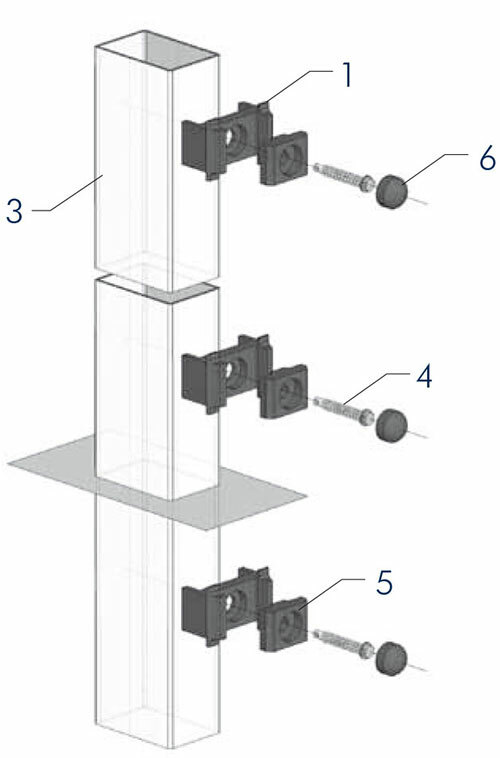 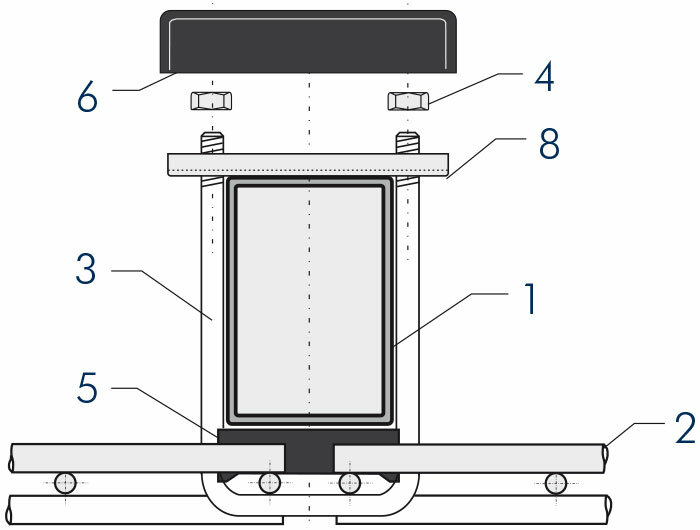 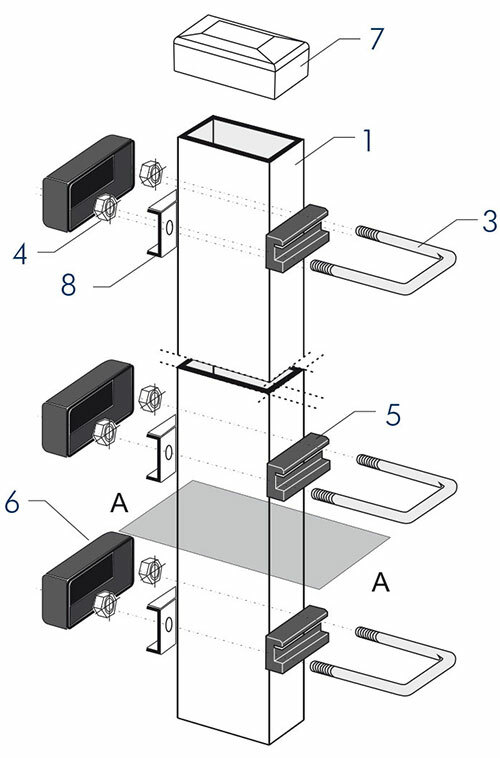 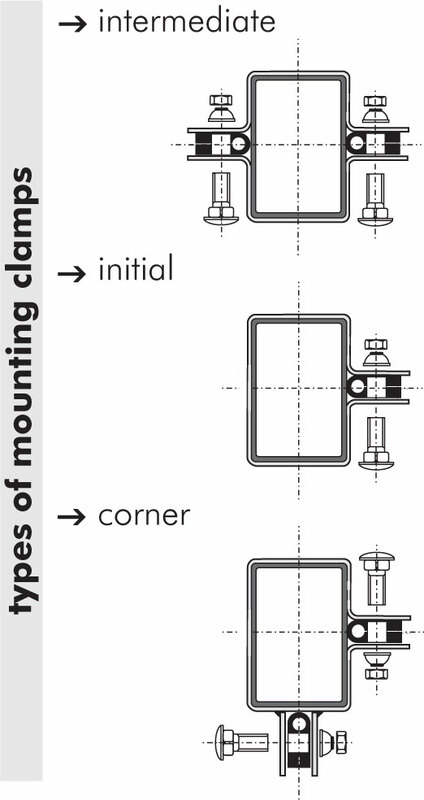 The panel is shortened modularly every 50 mm, as close as possible to the weld. 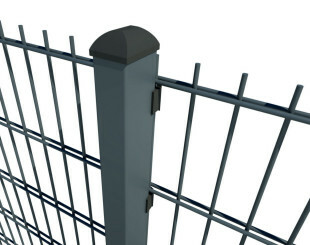 Cut bars are secured with a lacquer touch-up in a specified color. 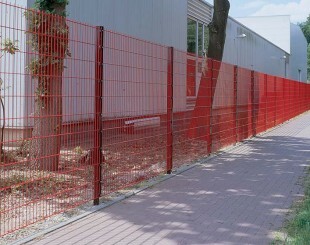 temporary fencing of construction sites.